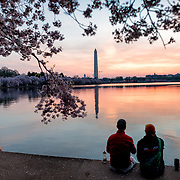 The nation's capital features an extraordinary collection of landmarks and monuments from the White House, the US Capitol Building, the Lincoln Memorial, and Smithsonian Museums. 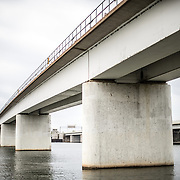 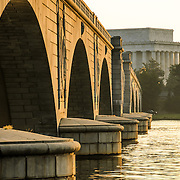 The 14th Street Bridge (Fourteenth Street Bridge) is a group of five rail and road traffic bridges spanning the Potomac, joining Washington DC and Arlington VA. 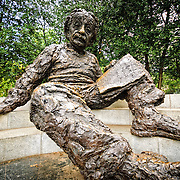 The Einstein Memorial, featuring a 21-foot, stylized bronze statue of physicist Albert Einstein, sits in a grove of holly and elm trees on the Constitution Avenue side of the grounds of the National Academy of Sciences. 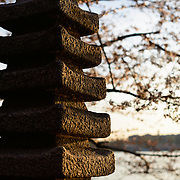 Columbia Island sits on the Potomac across from Hains Point and forms part of the George Washington Memorial Parkway. 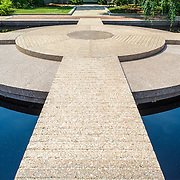 The island is the location of both Lady Bird Johnson Park and the Lyndon Baines Johnson Memorial. 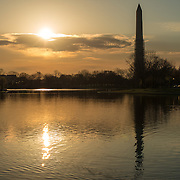 Constitution Gardens runs along the northern side of the Lincoln Memorial Reflecting Pool on Washington DC's National Mall. 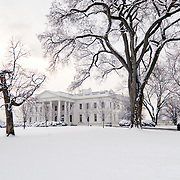 On Capitol Hill in Washington DC, Eastern Market is housed in an historic building that was badly damaged by fire in 2007. 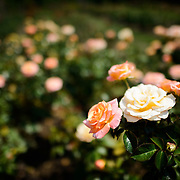 Inside the building are grocers, florists, bakers, butchers, and other fresh food specialists. 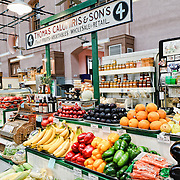 On the weekends, Eastern Market serves as the hub for arts and crafts outdoor markets, farmers markets, and flea markets. 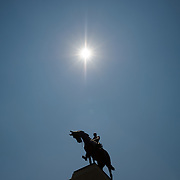 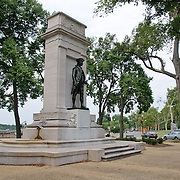 The monument to General William Tecumseh Sherman, a general who served under General Ulysses S. Grant in the Union Army during the Civil War, is elaborate and prominently placed, in President’s Park (the Ellipse), just next to the White House and in front of the Treasury building. 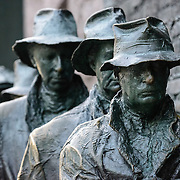 The Iwo Jima Memorial (or, as it is formally known, the Marine Corps War Memorial), is reportedly the world’s largest bronze statue. 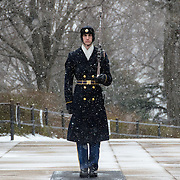 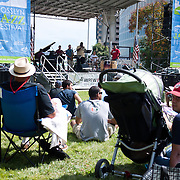 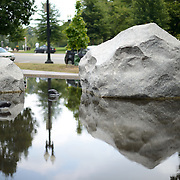 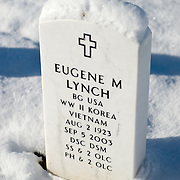 It’s adjacent to Arlington National Cemetery on the Rosslyn (northern) side. 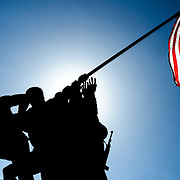 The statue itself is a photo cast in bronze, being based on the famous and controversial photo Raising the Flag on Iwo Jima by AP photographer Joe Rosenthal of the flag raising on Mount Suribachi. 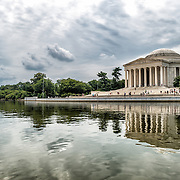 The Jefferson Memorial, on the banks of the Tidal Basin, is dedicated to America's third president and author of the Declaration of Independence, Thomas Jefferson. 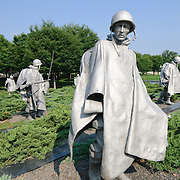 The Korean War Veterans Memorial, near the Lincoln Memorial, is dedicated to those who died in the Korean War (1950-1953). 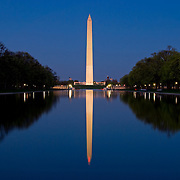 The Lincoln Memorial Reflecting Pool runs from the Lincoln Memorial to the National World War II Memorial. 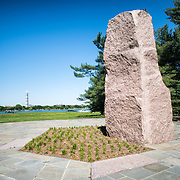 The Lyndon Baines Johnson Memorial on the George Washington Memorial Parkway commemorates the 36th US president. 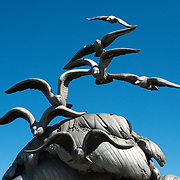 Maine Avenue Fish Market, on Washington DC's southwest waterfront, is the oldest continually operating open air fish market in the country. 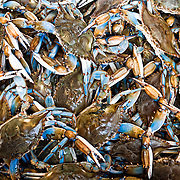 It's a prime source of the fish and other seafood, including the area's famed Maryland Blue Crabs. 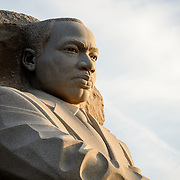 The Martin Luther King Jr Memorial, dedicated in October 2011, is the newest of Washington DC's monuments on the National Mall. 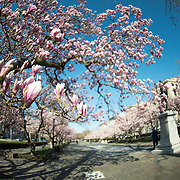 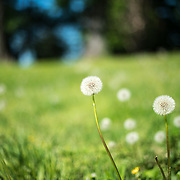 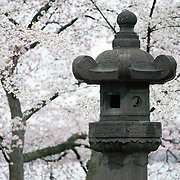 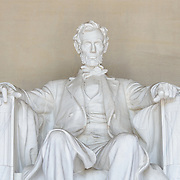 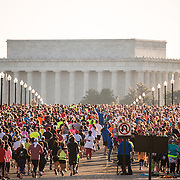 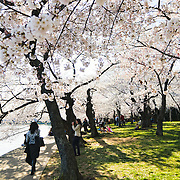 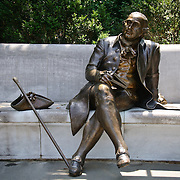 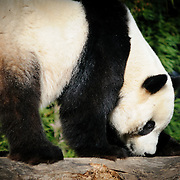 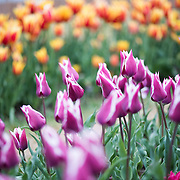 It is located on the banks of the Tidal Basin in a direct line between the Lincoln Memorial and the Jefferson Memorial. 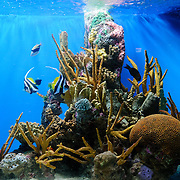 Located in the basement of the Department of Commerce building in downtown Washington DC, the National Aquarium is much smaller than its partner facility in Baltimore. 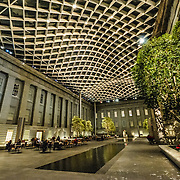 Built around an original collection assembled by Andrew Mellon, the National Gallery of Art is a publicly funded gallery and includes ones of the finest collections of art in the world. 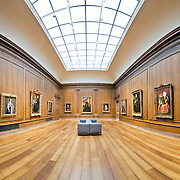 On permanent display are works by Leonardo da Vinci, Titian, Rapael, Botticelli, Rembrandt, Vermeer, Goya, Manet, Monet, Rodin, and Degas, amongst many others. 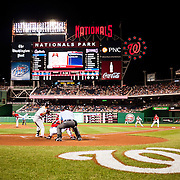 Nationals Stadium is the home of Washington DC's baseball team, the Washington Nationals. 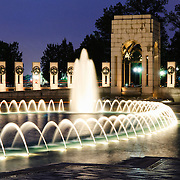 The National World War II Memorial, on the end of the Lincoln Memorial Reflecting Pool, memorializes those who died in the Second World War. 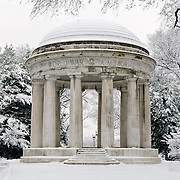 The Navy-Merchant Marine Memorial, on the banks of the Potomac along the George Washington Memorial Parkway, commemorates those who died at sea during World War I. 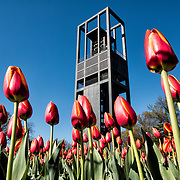 The Netherlands Carillon, next to the Iwo Jima Memorial and Arlington National Cemetery, is a bell tower that was a gift of the government of the Netherlands in thanks for American assistance during World War II. 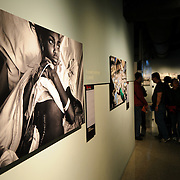 The Newseum is located on a prime spot on Pennsylvania Avenue between the White House and Capitol Hill and is focused primarily on American news media. 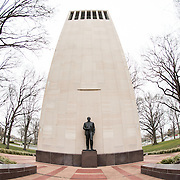 Senator Robert Taft had a long political career and had connections–he was a former Speaker and was President William Howard Taft’s oldest son–but the arch conservative is best remembered as an leading opponent of Franklin Roosevelt’s New Deal. 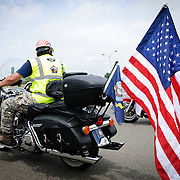 Each Memorial Day weekend, the Rolling Thunder Motorcycle Rally rumbles through Washington DC to raise awareness of the issues of POW-MIA. 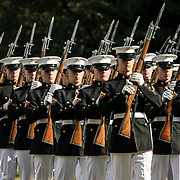 High resolution images of the bikes rolling out from Pentagon. 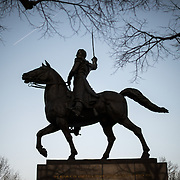 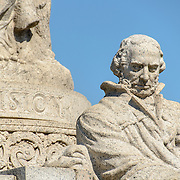 The Simon Bolivar Statue, in Bolivar Park in Foggy Bottom, commemorates the famous Latin American revolutionary credited with leading roles in the independence movements of several Latin American countries. 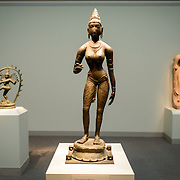 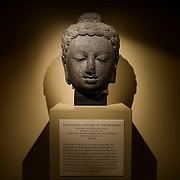 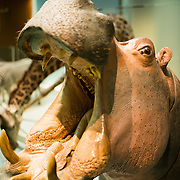 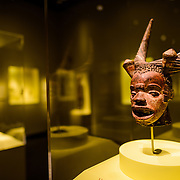 Consisting of 19 museums, a zoo, and a number of associated research centers, the Smithsonian Institution has vast holdings in art, history, archeology, anthropology, and other artifacts. 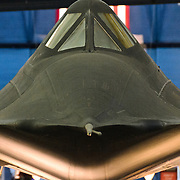 Included among the museums is the National Air and Space Museum, the most visited museum in the world. 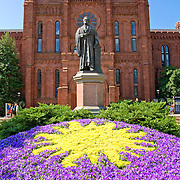 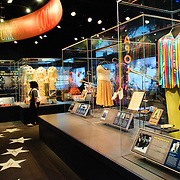 One of the most visited museums in the world, the Smithsonian Institution's National Air and Space Museum consists of two public facilities, the main building on the National Mall and a second, new, and larger facility near Dulles Airport, the Udvar-Hazy Center. 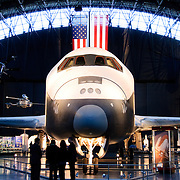 For more photos, information, and 360 degree panoramic virtual tours, please visit http://havecamerawilltravel.com/smithsonian-national-air-space-museum. 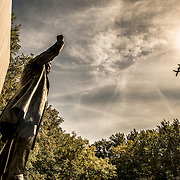 The Theodore (Teddy) Roosevelt Memorial on Roosevelt Island on the Potomac, is dedicated to the 26th president of the United States. 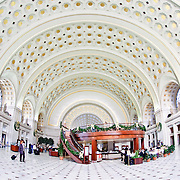 Union Station is Washington DC's main train station and an historic landmark in its own right. 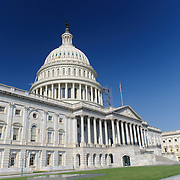 Home to the United State Congress, the legislative branch of the US Government, the US Capitol Building has a commanding position on the eastern end of the National Mall in Washington DC. 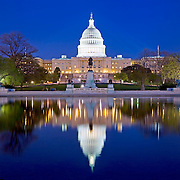 The top of its distinctive dome is the highest building structure in Washington DC. 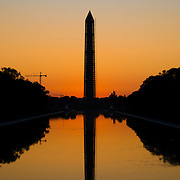 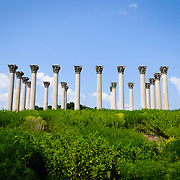 It is one of Washington's most distinctive landmarks. 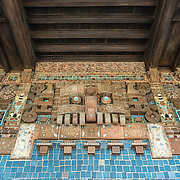 High resolution images. 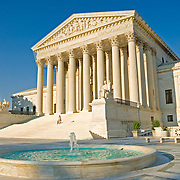 The Supreme Court, on Capitol Hill across from the U.S. Capitol Building, houses the federal judicial branch. 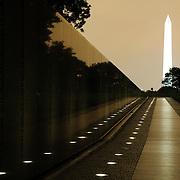 The Vietnam Veterans Memorial, next to the Lincoln Memorial, is dedicated to those who lost their lives in the Vietnam War. 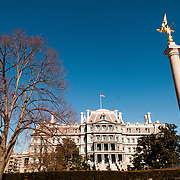 High resolution images of Washington DC's government buildings, including the Treasury Building, Justice Department Building, Commerce Building, National Archives, Capitol Building, Supreme Court, and White House. 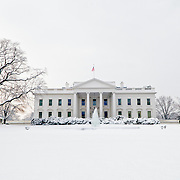 Located at 1600 Pennsylvania Avenue in downtown Washington DC, the White House is the iconic home and office of the President of the United States.